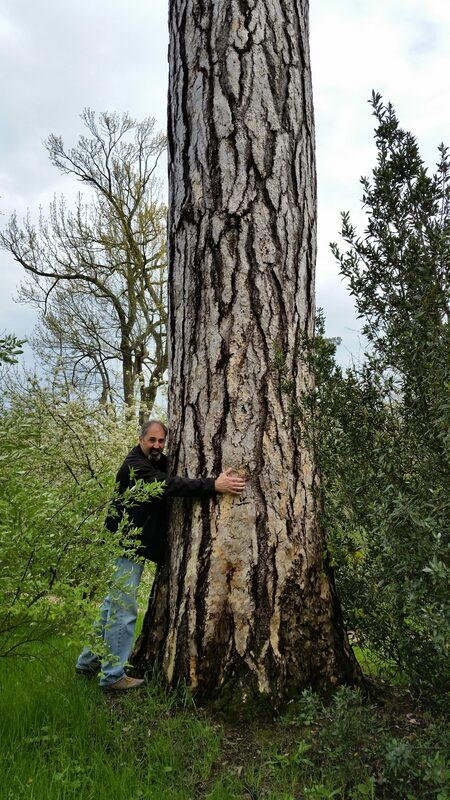 Blog: Aspen Tree Expert Co., Inc.
A cross between the Oriental Planetree and American Sycamore, the London Planetree was first recorded growing in London in 1663. It takes its common name from this fact and also that it is the primary street and park tree in London. London is not alone in its heavy usage of the London Planetree, however. It is planted by the millions in Zones 4 to 9 in both the northern and southern hemispheres. London Planes are tough trees that are highly resistant to urban stressors, salt damage and the anthracnose disease that plagues its native cousin the American Sycamore. They prefer full sun to partial shade and perform best in well drained rich soils, but can tolerate alkaline, moist and even droughty soils. Highly tolerant of poor soils and pollutants found in urban conditions, the London Planetree is a favorite of cities. This is also the best place for them as someone else get to clean up after them. Leaves, twigs and bark are shed all summer and leaves and fruits are shed all fall and winter. Wide spreading and majestic, 40-60 feet wide, the London Plane will attain heights of 60 to 90 feet. The branches are smooth and muscular, while the trunk is constantly shedding its flaking bark exposing its olive, cream and brown patches. Leaves are pale green resembling those of a maple only larger, up to 10 inches across. The underside of the leaves contain a heavy, choking dust that is loathed by all allergy sufferers. The spherical fruits, called syncarps, are usually borne in twos, but may come singly or in threes. Ripening in October and persisting into late winter, they are hardy weapons for children’s games. Often considered a shrub, it is actually a small tree, usually multi-stemmed and growing 10-15 feet high and almost as wide. It makes a good screen or unpruned hedge. The bark is an attractive gray to grayish brown color. The leaves are dark green in summer and usually a brilliant yellow in the fall. It’s yellow to reddish flowers are its main attribute, mainly because it is one of the only trees in flower in February to early March. It has few disease or insect pests and none are serious. Indians and settlers used Witch Hazel to make “water diviners” from their forked sticks. They also used a boiled down leaf concentrate to sooth bruises and insect bites. There is also another native, the common witch hazel, and the imported Chinese witch hazel. They are all very similar in size and appearance, but depending on their variety they can flower from November through March and come in many shades of yellow, orange, and red. They make a great accent against the snowy landscape, and also have a very sweet fragrance if you are adventurous enough to be in the garden in the winter months. 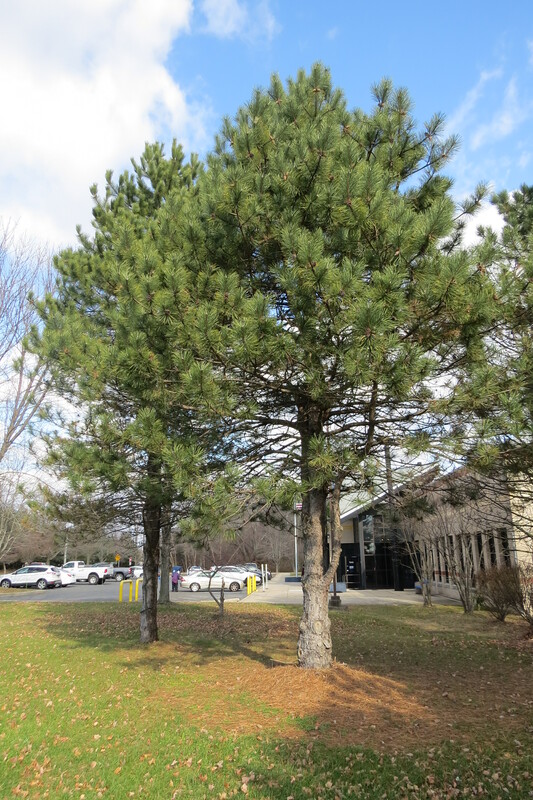 A native of central Europe, Austrian pine was introduced to the US as a tough and cold hardy addition to our urban landscapes. It can attain heights of 80 to 120 feet high by 25-50 feet wide in its native environs, but usually attains a height of 40-70 feet and a width of 20-40 feet in the US. There are also several dwarf and miniature varieties that mature at lesser sizes. 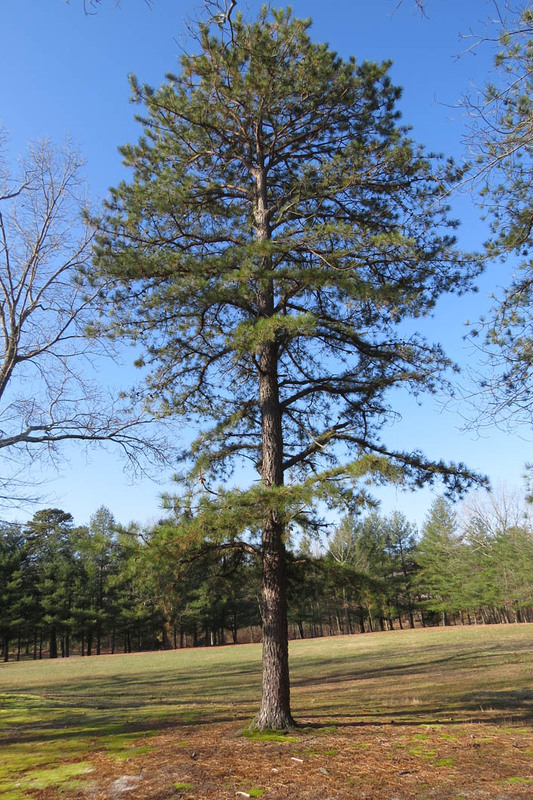 Austrian pine develops a dense conical shape when young becoming more open and flat topped with age. The needles are in bundles of two’s and are 4 to 6 inches long. They are a shiny dark lustrous green and sharply pointed. Young candles emerge yellowish-brown and provide an interesting contrast in spring. The new needles usually persist for four years before dropping. 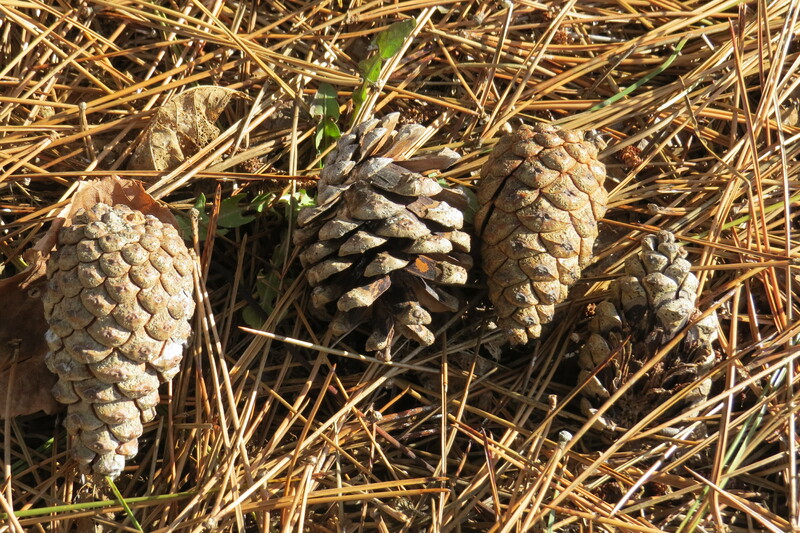 Fruits or cones appear alone or in clusters turning from green to brown and maturing in two seasons. 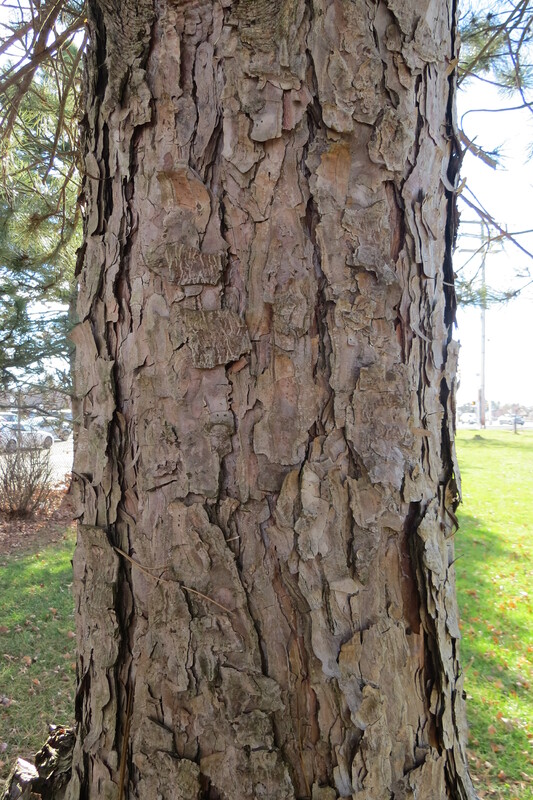 The bark is a dark grayish-brown that becomes more fissured as it matures, with mottled ridges of gray or white and can be quite attractive, accented by winter snows. 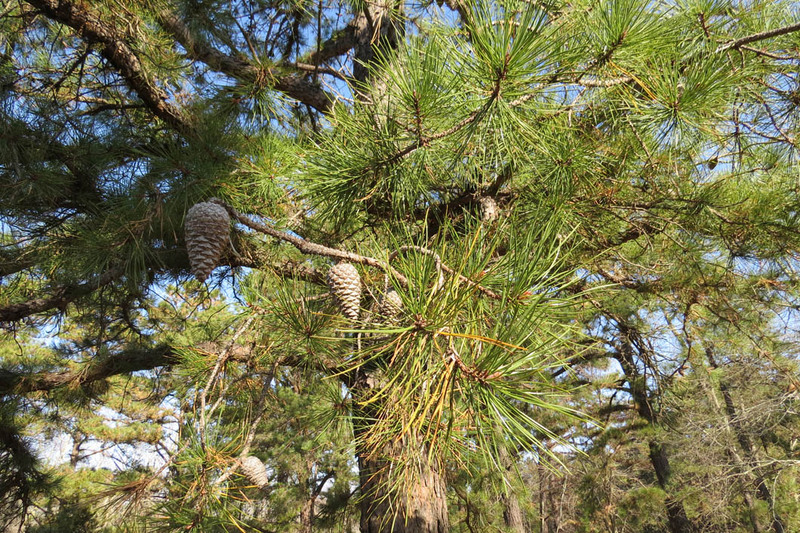 Austrian Pine was once considered the hardiest of the pines able to be grown in sand or clay and tolerate urban, seaside and drought conditions. In recent years, diplodia tip blight and pine nematodes have severely damaged and killed entire screens and windbreaks. 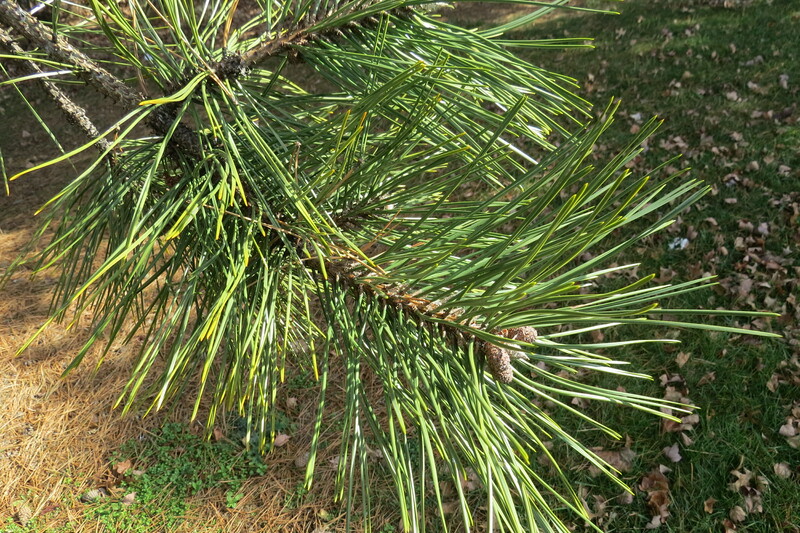 Diplodia is a tough disease to control, but a good cultural program of eliminating monocultures, or not planting too close together, pruning to remove diseased tissue, watering the root zone and not the foliage, and removal of fallen needles and cones is the best way to ensure the best performance from a worthy and attractive tree. Evergreens world-wide, whether they are spruce or pine or fir, are often called Christmas trees. Around this time of year, it is more likely to be true. Little by little these trees begin to become transformed into highly decorated and glowing specimens. 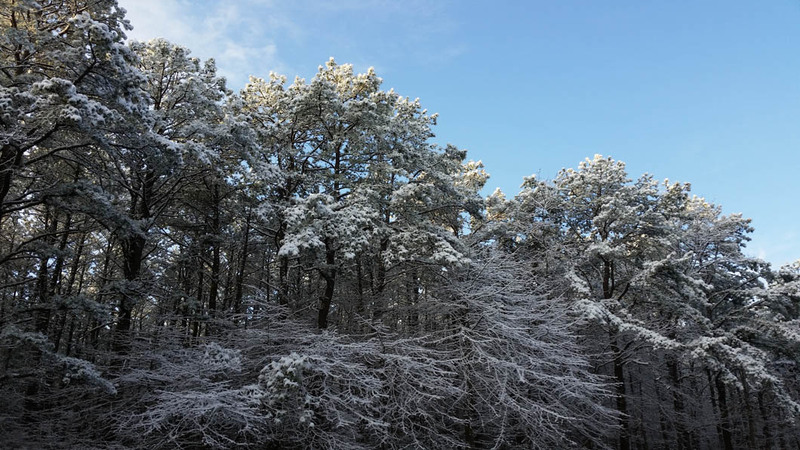 Some trees go so far as to leave their roots behind and seek warmer weather indoors. 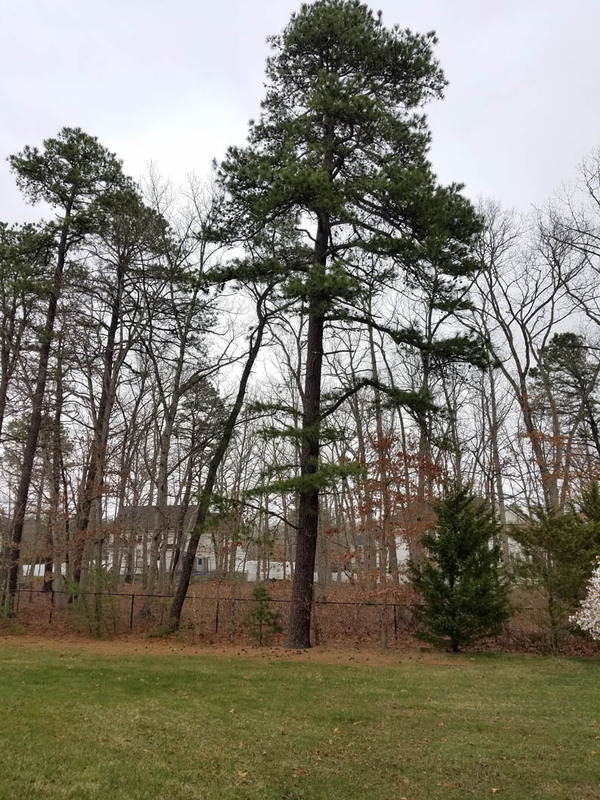 This particular specimen in Jackson, NJ is a Norway Spruce (Picea abies) and the rest of the year, it is a dark green pyramid with graceful pendulous branches. A native of Northern and Central Europe, it was introduced to the U.S. in colonial times where it found widespread favor as a specimen tree and in wind breaks on farms. Trees transplant easy and grow at a medium to fast pace reaching 50 to 70 feet regularly but can exceed 100 feet. Larger specimens are often chosen as the Christmas Tree at Rockefeller Center in NY. Norway Spruce has a shallow spreading root system and does best in sandy, acid soils, but will tolerate any soil with adequate moisture. 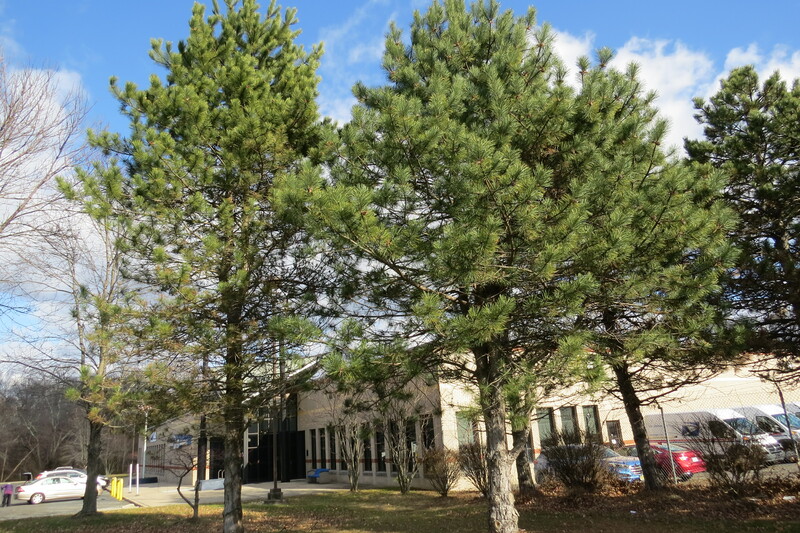 Spider mites, spruce gall adelgid and budworms can be problems, but healthy trees can easily overcome these irritations. Recently, Norway Spruce has become more popular in reforestation projects and are, of course, extensively cultivated as Christmas trees. 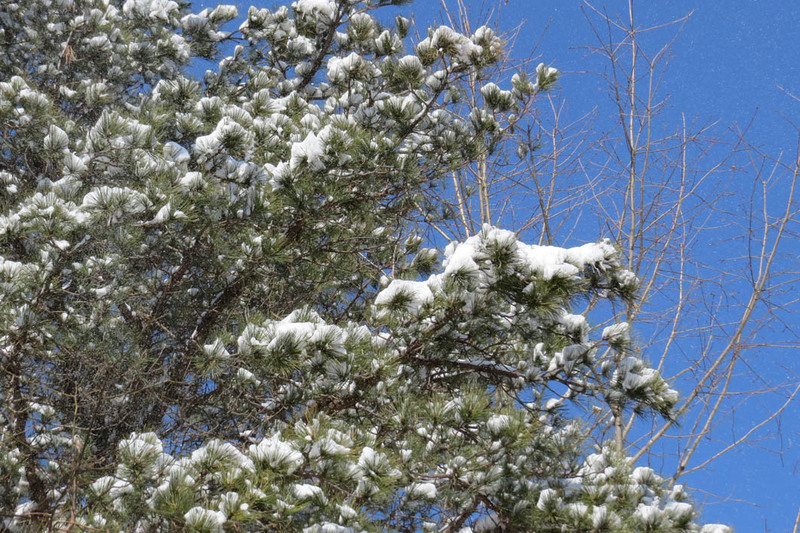 Whether it’s summer or winter, cedar, pine, or spruce, we can all use a little Christmas throughout the year. What better way to do it than to plant a Christmas tree! Widely known for its unmatched splendor in fall, the Sugar Maple displays brilliant shades of orange, red and yellow, like this specimen in Holmdel Park in Holmdel, NJ. 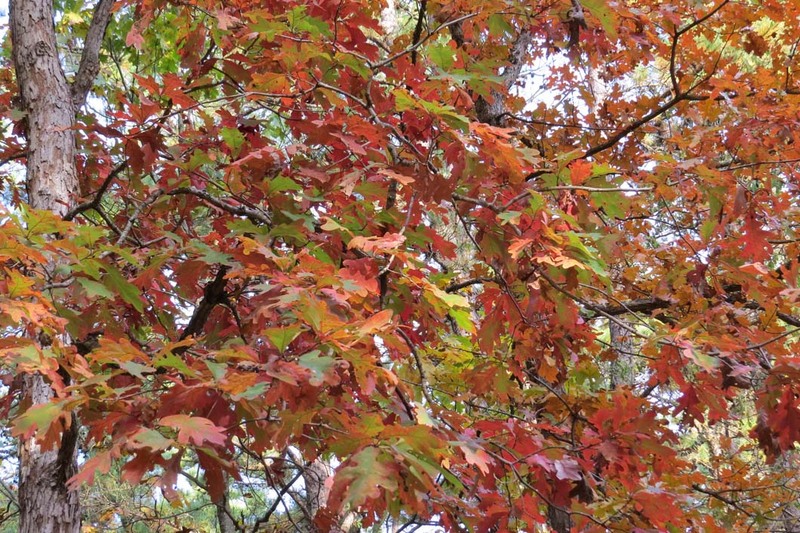 Sugar Maples can grow 50 to 80 feet tall and 40 to 70 feet wide, and depending on the cultivar, develops a columnar or oval shape. It is a beautiful slow to medium growing shade tree, ideal for any open space off roadways. On streets they are susceptible to salt damage, soil compaction, heat and drought stress, and girdling roots. It prefers a well-drained soil with adequate moisture and can tolerate some shade. Like most deciduous trees, it prefers winter pruning, but is susceptible to sunscald and bark cracks if pruned too heavily. The tree has a smooth gray bark when young that becomes platy with age. Foliage is a medium green in summer with the traditional 5-lobed leaf found on the Canadian flag. They are also prized for their sweet sap used to produce maple syrup. The Sourwood or Sorrel Tree, takes its name from the sharp acid taste of its leaves and sap. Native to the Appalachians, Sourwood is found from Northeastern Florida, to Southern Pennsylvania. It can be planted, however, in USDA Zones 5 to 9 in moist well-drained acid soils. Tiny, creamy white, urn-shaped flowers appear in late June and last into August. Borne In compound clusters about 7 to 10 inches long, it is one of few native trees to flower in summer. The numerous, fragrant flowers are a favorite of bees, which make a Sourwood honey, an Appalachian treat. Fall color starts as early as late August and lasts until November. The brilliant red or scarlet leaves are made even more spectacular by the contrast of the persisting flowers. A slow grower and generally considered a small tree at 25 to 30 feet, it can attain 50 feet or more in the wild. Full sun is preferred for best flowering and fall color, but it will grow well in partial shade. It is sensitive to transplanting, cold injury when young, and is intolerant of pollution. Established plants, however, endure drought well and have no serious pests or diseases. An excellent specimen tree for patios and gardens, the Sourwood is perhaps our finest native flowering tree. The Red, Water, Swamp or Soft Maple takes its name from its early spring show of red buds and bright red flowers. It has the greatest north-south range of any native tree in North America, being found from Newfoundland to Florida. Although it grows best in damp lowlands soils, it can also be found with other hardwoods on rocky upland soils. Typically thought of as a medium sized shade tree, the Red Maple grows from 50 to 80 feet but can surpass 100. 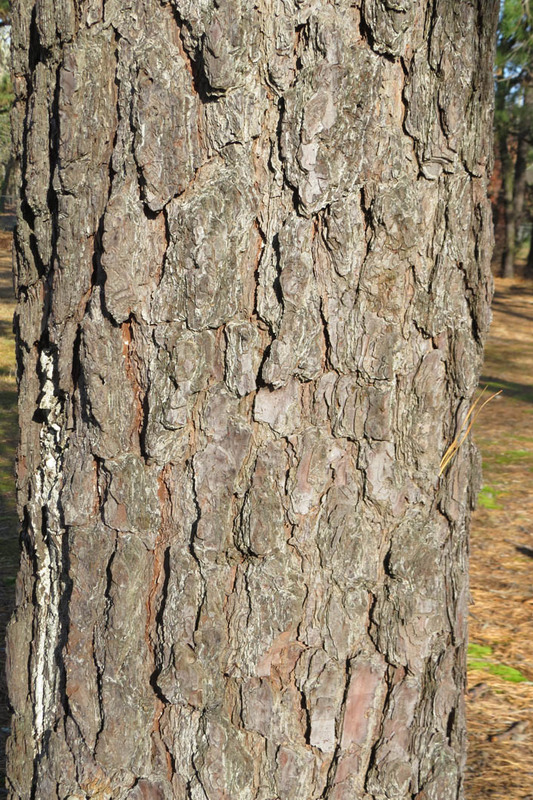 The bark is an attractive smooth silver turning dark gray and scaly with age. Maple fruits, or winged samaras, emerge with the leaves and can be red or green. Carried by the wind, the samaras float to the ground like tiny helicopters and readily seed themselves. The leaves are 3to 5 lobed and 3 to 4 inches long with reddish stems. They are a medium green in summer and cast an open-filtered shade. When autumn arrives, few trees brighten the landscape with such dazzling colors. Color varies from tree to tree and can be bright yellows, orange, flame red or any variation in between. Heavily planted as a street tree, it is also great for lawns and parks, however, cultivars such as “Red Sunset” and “October Glory” are often preferred to guarantee red fall color. Surface roots may present problems in high traffic areas and neatly groomed lawns. Red Maples are also susceptible to sun scald, verticillium wilt, any kind of structural injuries and leaf hopper insects. Pyramidal in shape as a young tree, it slowly matures into an imposing dense and broadly rounded specimen. 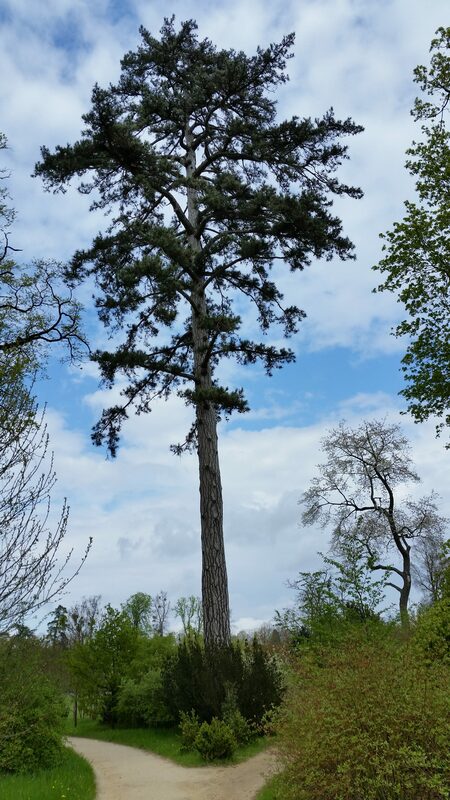 Commonly reaching 70 to 90 feet tall, it can exceed 100 feet tall with a spread over 150 feet. Under favorable conditions, many white oaks have lived for 300 to 500 years and have been witnesses to numerous historical events. White Oak leaves are the classic rounded lobed leaves we associate with oaks. They emerge in May, pinkish-white in color, turning a bright green in summer with a paler and pubescent underside. The flowers, although ornamentally inconsequential, appear when the leaves are about 1/3 developed. The female flowers appear on short spikes while the males occur separately as 2 to 3 inch catkins. Oak flowers are wind pollinated which can be tough on allergies, not to mention your cars finish. The Oak’s fruits or acorns are borne singly or in pairs and mature in one season. Inside the ¾ inch cup is a sweet edible kernel which is a favorite of squirrels. 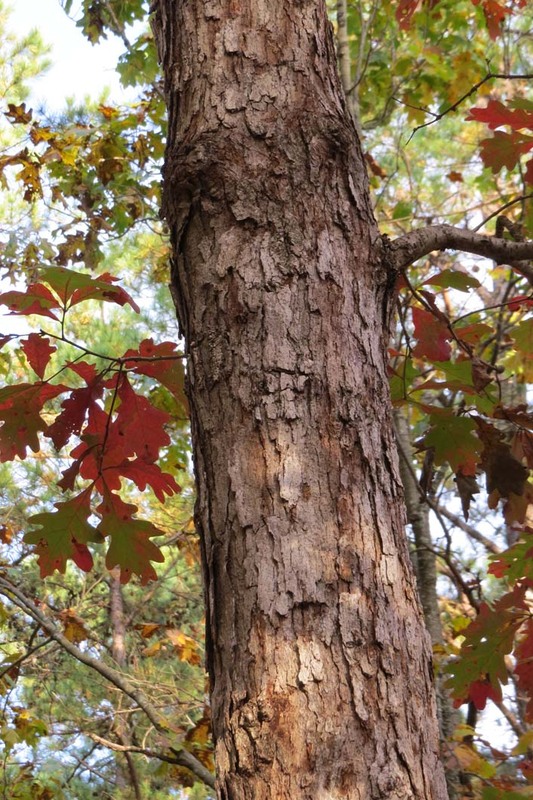 White Oak is considered one of the most important use trees in the East because of its high lumber value for hardwood floors, furniture, kegs, fuel wood and in colonial times, for ship building. White Oaks are susceptible to numerous pests and diseases including anthracnose, leaf blister and gypsy moth, but they all seem to be no trouble for the mighty White Oak. Few trees are as noble or picturesque as a mature White Oak. If you are fortunate enough to have one, or patient enough to plant one, sit back and enjoy! A beautiful medium sized ornamental tree that is great for open, sunny spaces. It has a single stem with a rounded habit reaching approximately 30’ in height by 30’ wide. It makes a good street tree that is fairly compatible with overhead wires. Goldenrain Tree is a native of China and the Korean peninsula and adapts well to most well-drained soil types here in the U.S. It has pinnately compound leaves with a feathery appearance and a yellow-green color in the summer followed by a nice yellow-orange fall color. The main attributes for this tree are the 8-12” golden panicle flowers during June and July in the Mid-Atlantic region. They are usually a show stopper when in bloom, and a favorite of bees. When the blooms are finished they are followed by an attractive paper lantern style fruit that will persist until winter.